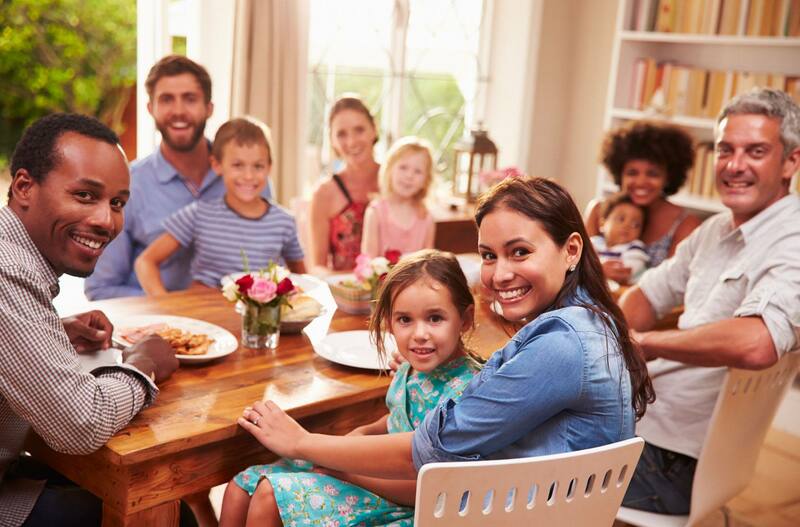 With more families living farther apart in different cities and regions across Canada and abroad, family reunions are the perfect occasion to bring everyone together. In fact, visiting relatives is one of the main reasons Canadians travel. Obviously the most important detail when planning a reunion is location. It has to be as convenient as possible for most folks. So where will you meet? Will a local venue work? Or is there a destination you’ve always wanted to visit ? Cottage Country in Northern Ontario: Booking several cottages up north is an increasingly popular option for large family reunions. If most of your relatives are in the Windsor – Quebec City corridor, there’s an array of locations in Muskoka, Haliburton, along the Bruce Trail, Sauble Beach, or Algonquin Park that are within reasonable driving distances. Plan early to find the accommodations that meet your family’s needs and budget. The region is gorgeous and people book early. Fiddler Lake Resort, Quebec: If an all-inclusive resort is more your style, then Quebec’s Fiddler Lake Resort near Morin-Heights is ideal. It is located just 45 minutes from Montreal in the lower Laurentians, and offers a range of accommodations in luxury log cabins and chalets. In the summer enjoy the region’s lakes and golf courses. In the winter there’s great skiing, boarding and snow-shoeing. White Point Beach Resort, Nova Scotia: Craving the beauty of the Atlantic shoreline? White Point Beach Resort is a beautiful location for a relaxing gathering. One of the most iconic beachfront resorts in Nova Scotia, you can enjoy the ocean, aquatic adventures, golf, surfing, spas and many other family activities. Myrtle Beach, South Carolina: One of the most family friendly destinations on the east coast of the United States, Myrtle Beach is a lovely and affordable destination. There are convenient flights from Ontario and Quebec. The town is renowned for its seaside resorts, fabulous golf courses, and beautiful beachfront boardwalk. Enjoy true southern hospitality and remarkable seafood cuisine. Orlando, Florida: If you have lots of kids, Orlando is a perfect spot. You can stay in lakefront cottages, resorts, family themed hotels, or even camp. It’s as if everything was designed for you and your children: attractions galore, beautiful beaches, and of course, Disney World. While the kids are busy, you and your siblings can catch up. To save a few bucks, consider staying in Kissimmee-St. Cloud. It’s only a 5-minute drive from Orlando’s main attractions. The Caribbean: If your family is willing to travel a little farther, why not plan a family reunion at an all-inclusive resort in the Caribbean? There are countless island destinations to choose from, such as Dominican Republic , Turks and Caicos, the Bahamas, Jamaica, and many more. Mexico’s coastal resorts also offer great alternatives for your reunion in the sun. You can spend hours on the beach, by the pool, explore ancient ruins and sample authentic and delicious Mexican haute cuisine. Whatever the destination you’re looking for, there is no shortage of places for bringing people together for a wonderful reunion that fits your budget. Just don’t forget to book travel insurance so you can enjoy a worry-free trip.